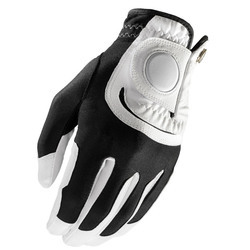 The new Wilson Staff Grip Soft golf glove is designed with multiple materials for improved performance: the palm is constructed of synthetic leather for more durability the upper hand is made of technical fabric for improved fit, and the cabretta leather palm and thumb patch enhance grip, feel and durability in the necessary spots. The anti-microbial performance mesh on and between the fingers dissipates heat and moisture for breathability. 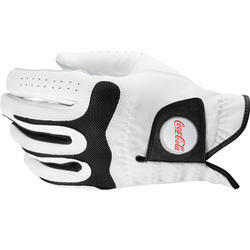 Unique construction of a soft microfiber synthetic combined with an exclusive mesh ensures the glove to fit the hand size S to XL. Soft microfiber synthetic, comfortable feel, sensitive touch, durable wear and works in all weather. Exclusive mesh provides a comfortable fit regardless of the size as it conforms to the hand and helps wick moisture away. 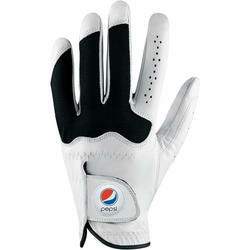 The Wilson Staff Conform Glove is a stylish, innovative glove perfect for the golfer seeking comfort and breathability. The premium Abyssinian cabretta leather has 3M Scotchguard protection for softness round after round. The anti-microbial performance mesh on the knuckles and palm dissipates heat and moisture.